Rudbeckia seed heads. Sunny all summer, a joy all winter. I love the mini five “petal” flowers in the centre of the seed head. A flower within a flower. 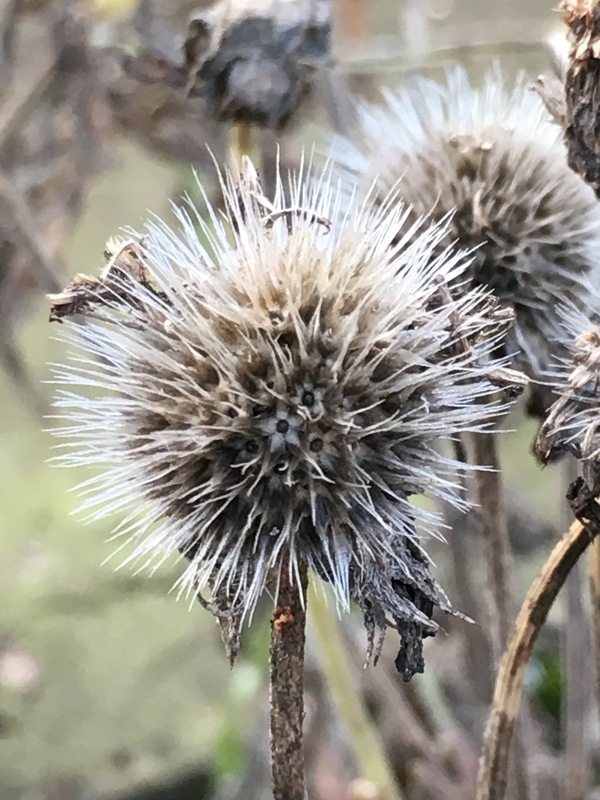 ← #WordlessWednesday – finding seed heads in the garden. I completely agree . Just came home on a freezing January day to find a small flock of siskins on the marjarom , hollyhocks and tansy l didn’t cut down. The birds are starving, a few seed heads may save them! Absolutely agree. Every little helps. 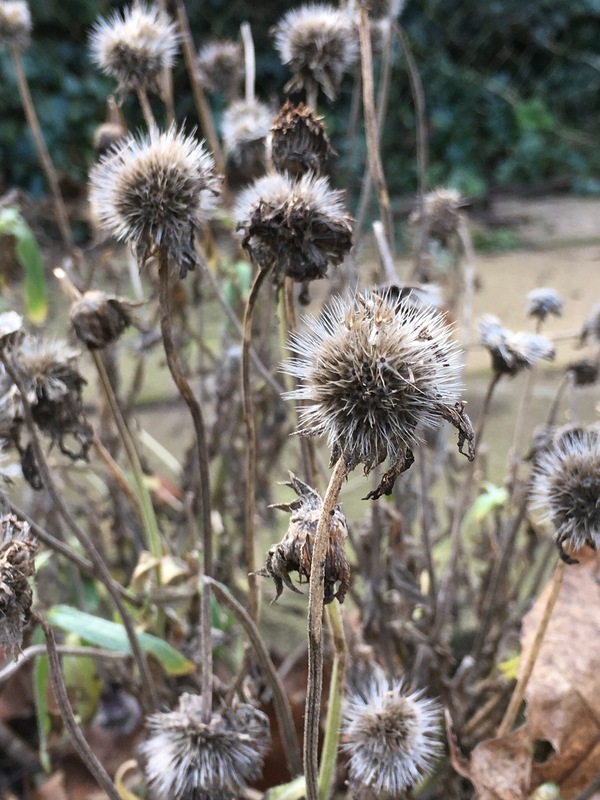 A few seed heads might make the difference between surviving a cold snap and succumbing to the cold. Thanks for taking the time to read and comment. All the best. Karen. I am enjoying the echinacea turning into pointy hats as the seeds fall (or are removed). Oh yes, that’s a good one too. The birds love the seed. All the best. Karen.